Workers’ Compensation is a form of insurance that provides wage replacement and medical benefits to employees injured in the course of employment, regardless of fault. In order to receive workers’ compensation benefits, a claim must be immediately filed and the employer notified of the injury. Often claims are overlooked or denied because the injured party did not file within the required timeframe. At O’Donnell Law Offices you can put your trust in a skilled and experienced lawyer who will quickly file your claim with the pertinent details needed to receive maximum compensation. Trusting a skilled and experienced law firm will keep you abreast of all the intricacies of a workers’ compensation claim, as many injured parties are unaware of what they actually deserve, therefore leading to many wrongful denials. 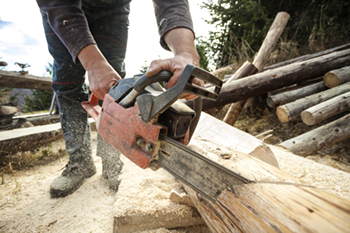 You are eligible to receive workers’ compensation for as long you require treatment. With limited exceptions, you may even receive medical benefits expense payments after your wage loss claim has ended. However, workers’ compensation wage loss benefits do have restrictions, and it is important to understand the difference between total and partial disability. 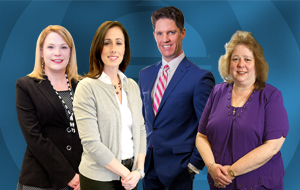 Here at O’Donnell Law Offices, we will represent you at your workers’ compensation hearing and advise you as we gather all medical records and reports for your work injury claim. We review actions taken by the workers’ compensation insurance company and the company doctor. Our workers’ compensation team is led by Michael O’Donnell, a Certified Workers’ Compensation Specialist who has dedicated his career to fighting on behalf of injured workers. Put your trust in him and you will receive the full financial support you need. Schedule a free initial consultation with O’Donnell Law Offices. There is no fee or costs until we win your case.